Get marketing exposure, where it matters. Over 12,000 senior executives and officials from the global maritime and logistics ecosystem benefit from the insights shared by Maritime Weekly. Key news items for each industry sector, are available at our website. The newsletter is by invitation only. Advertise with us to showcase your brand & and achievements to those who matter. Subscriber-base comprises 83 % upper and middle supply-chain managers and government officials with a combined decision-influencing power worth well over $ 10 billion. Every reader gives 15 minutes of undivided attention to our newsletters every week. As an advertiser / contributor, you receive front page attention every time, instead of being featured on an inside page of a magazine. Our mobile-platform friendly newsletters use the highly-scalable and the real-time reach of email to take your brand to your potential and present customers. Our pricing and positioning among your potential customers is unmatched in the industry. What’s more, we provide you campaign report every month that helps you with lead. 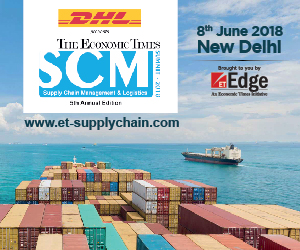 Business insights for maritime and logistics executives. Maritime Weekly is a newsletter published by Apex Group for Maritime World Services, a business advisory, executive search, and events management platform for the global maritime ecosystem. Over 19,000 senior executives and officials from the global maritime and logistics ecosystem benefit from the insights shared by Maritime Weekly. Key news items for each industry sector, are available at our website. The newsletter is by invitation only.